“I have no money.” Why does training cost so much? At the risk of sounding insensitive, I must inform you that my time does not allow the luxury of working with anyone and everyone that comes seeking to work together now. There's simply not enough time. I created the membership site to clearly separate those that are serious from those that I used to spend 80% of my time with. Every week I hear from no less than 20 new agents who all tell me how they want to work together, have no money, and did not succeed at their last agency/opportunity/carrier/career, and want me to somehow invest my time and efforts into changing their destiny because I have the next opportunity they want to try. I've put these protections in place so that I can lead a balanced life with my family, rather than supporting agents 18 hours a day like I was doing before, for the 20% that actually wrote policies. By the way, the override on a Medicare Supplement case is approximately a whopping: $20 per year total, and 80% of new agents never write their first case because they do not invest in themselves or treat this like a business. I will no longer invest my greatest resource, TIME, into joint ventures such as these with agents that want my time but are not serious about their own finances. Can I cancel my training site membership anytime I want? Yes, of course you can cancel at any time. There is a button in the middle of the main menu bar that says “Membership Options“. As a member, you can click on this button 24 hours a day and cancel your membership, or change your credit card or contact information. Cancelling your account means that it is immediately cancelled and your membership ends immediately. There are no refunds, as you have had access to the information from when you signed up until the point in which you decided to cancel. Do I have to give you my contracts? No, you can remain or get contracted through anyone you choose. While we do have contracting available if you need it (via SellMedicarebyPhone.com), and contracting through us that results in even ONE sale does give you free access to our site going forward, it is not required. We have many agents from other organizations that are here just for the training and industry updates. Can I sell Medicare Supplements in my State? While we're sure you could sell Medicare Supplements in your state, the question is – do you want to sell there? Depending on where you live, it may or may not be a good marketing climate for the promotion of Medicare Supplements there. Market factors, demographics of city vs. rural, managed care penetration and company offerings all factor in to where you should choose to sell Medicare Supplements. When you can sell Medicare Supplements by phone, it does not matter what state you sell in. Our training helps you to decide where to focus your time and energy to get the best result. What kind of certification is required to sell Medicare Supplements? There is no certification required to sell Medicare Supplement insurance. (This is the biggest opportunity). However, in order to sell Medicare Advantage or Part D drug plans, there is an annual AHIP certification (usually $150), which can take up to 8 hours to complete, and then certification with each and every carrier you've contracted with is required, too. 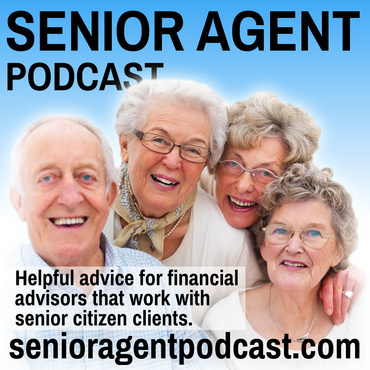 Most agents do not want to get involved with “Medicare Advantage”, or if they do, at least not in their first year or two getting started with Medicare plans. Medicare Supplements are much more simple to learn, easier to market and sell, and to profit from by helping seniors with their existing plans. Selling Medicare Supplements requires no certification and no company training. It is just like selling a cancer plan or a dental plan. This site provides you with what you need to know in order to competently sell Medicare Supplement plans. What kind of licensing is required? In order to sell Medicare Supplements, a health insurance license is required. Most agents obtain their life and health license at the same time, as they are closely related. In the State of North Carolina, they have a special license that is required as well – a Medicare Supplement license. In all other states, just a health license is required. You need a non-resident license (easily obtained online in minutes) in every state where you intend to sell insurance over the phone or in person. Where, and how, to obtain these non-resident licenses are found on this member page. What time(s) of the year can Medicare Supplements be sold? Medicare Supplements can be sold 365 days per year. There are no restrictions on a specific timeframe for selling a Medicare Supplement plan. Unlike Medicare Advantage and Part D drug plans, we get to help seniors year round with their Medicare Supplement decisions. Any time they find a better deal, they can change. What type of support is provided to me as a member of MedicareAgentTraining.com? E-mail support, provided through an exclusive support e-mail is provided to members. This allows us to send you back resources as links or attachments that get you the specific information you are looking for. 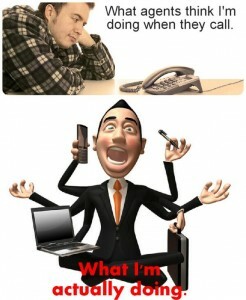 Telephone support and in-depth consultation is not guaranteed. The support ticket system provides, often immediate, answers to questions and advice, in a much faster way than could be provided by repeated telephone tag and interruption of sales happening continuously in our office. In-person consultation is available at additional cost, but the membership of the site does not provide exclusive access and continual, non-stop telephone support. 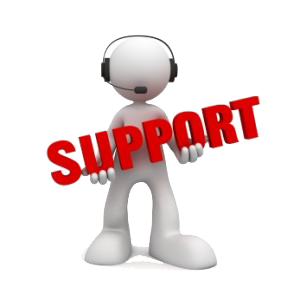 The support ticket system is the preferred method of time-effective contact. Lastly, by signing up with membership, you understand that technical issues MAY occur in the future and the site is not guaranteed to be perfectly function 100% of every single day. The features on the site, too, may at some point have difficulty loading and your patience, if that ever happens, will be appreciated while it is addressed. The support ticket system is much more effective at getting an answer right away.